Tylissos in Heraklion, with about 1400 residents belongs to the municipality of Malevizi, Crete, an area between Heraklion city and the foothills of Psiloritis, with many traditional villages. Most families live from agriculture and livestock. Life here rolls peacefully without city stress. The small cafes are full of clients who rest from rural work. The square of the village with its shady trees and the souvenir shops invite the visitors to have a coffee and chat with the locals. The trekking in Tylissos is imperative, as there is a unique variety of flora and fauna. The noise of the hoot of the white owl is usual at night and if you are near, you may see the owl and take pictures of it. There are countless paths without the noise of cars and motorbikes that lead you through a uniquely wonderful natural environment in various picturesque villages, visible from far away. The olive groves with thousands of perennial trees, the cypress trees, fruit trees, fig trees, almond trees, shrubs and herbs create a hilly landscape which is unique, even for an experienced botanist. But if you prefer cycling on a Mountain Bike or mountain climbing, Tylissos is offered for these activities, as the snow capped mountains of Psiloritis are visible from here. 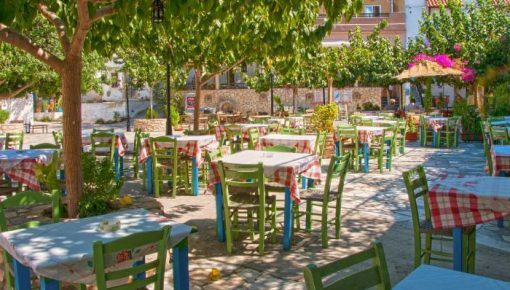 In the square of Tylissos you will find small cafes, offering homemade food, small grocery stores with all the necessary and many local products. 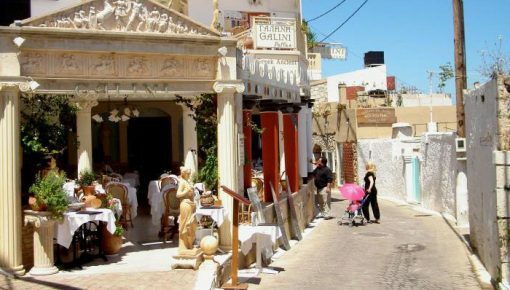 Here occasionally take place various cultural events in a beautiful Cretan environment, always accompanied by genuine dishes. 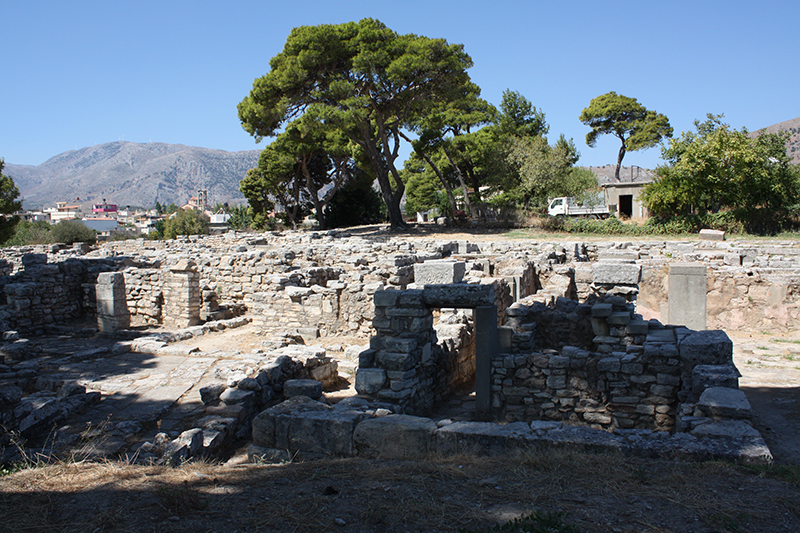 The locals are hospitable, with mild character and have the cheerful mood of the Cretans. The famous Cretan dance Malevizotis expresses their proud character. During your walk in the village, which is an unforgettable experience, do not forget to visit the old church of the village. In recent years, many emigrants returned in Tylissos and renovated their stone-parent homes or built new. The people love their stone homes and keep them in good condition, always whitewashed and clean. 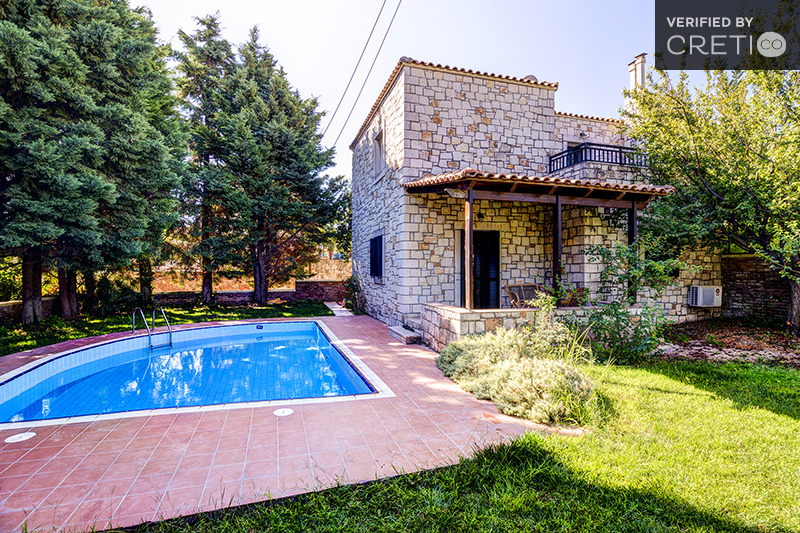 You will find exceptional, renovated traditional villas offering the privacy and comfort you need. 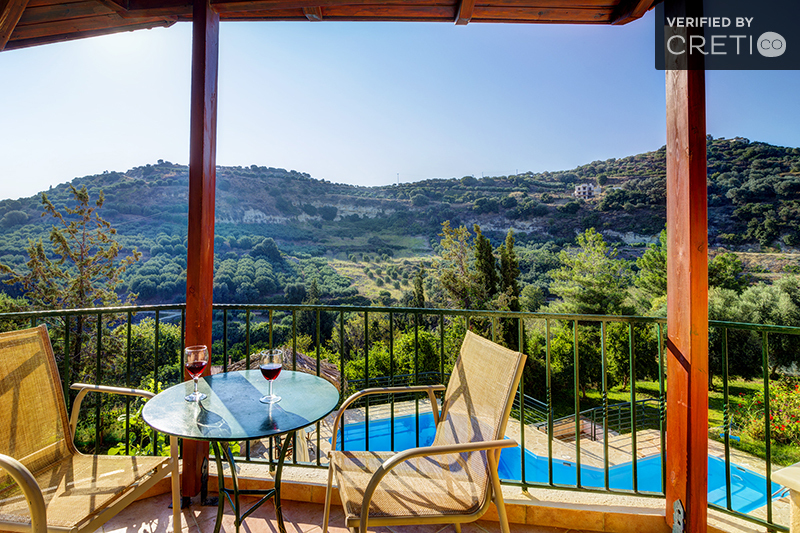 Tylissos, built in the centre of Malevizi in Crete, is offered for various, beautiful trips in nature, many beaches with crystal-clear water, picturesque villages, unique mountains with infinite points of view, and of course, the popular archaeological site of the village. In addition, it is close to the cities of Heraklion and Gazi, which are less than twenty minutes drive. Pendamodi, near Tylissos, is a village in the valley of Gazanos river, in a distance of 16,9 km from Heraklion. 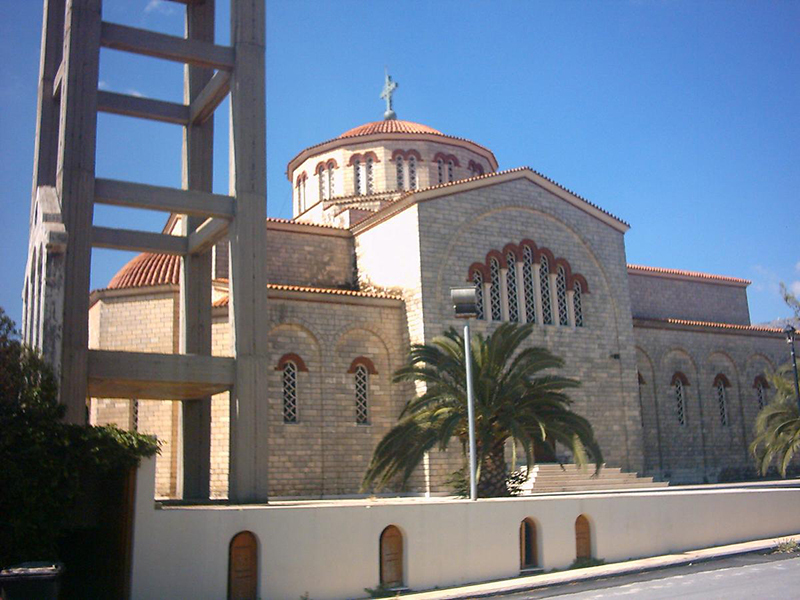 The main churches are Agios Nikolas (St. Nikolas) and Agia Paraskevi (St. Friday), in an area with lush vegetation, where many cultural events are organized in summer. 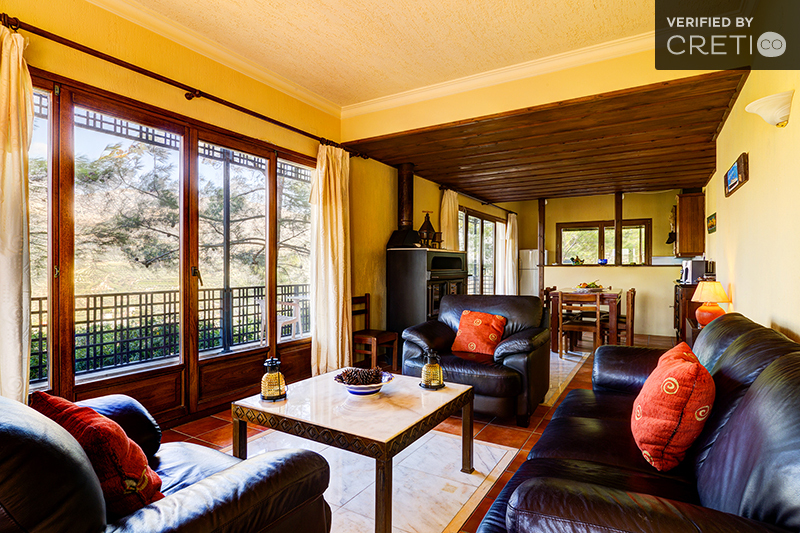 Have a look at nice pool villas in Pendamodi and the area nearby. 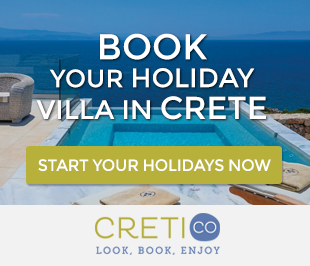 Posted on 27 Jan 2015 in Heraklion and tagged Traditional Crete Villages.